Surf News Network, 3/5/16 – O’ahu’s biggest beach cleanup is returning as Sustainable Coastlines Hawai’i and partners gear up for the annual Earth Day Festival and Ultimate Sand Sifter Competition. Saturday, April 23 from 9 a.m. to 2 p.m. Starting at Waimnalo Beach Park, partners, crews and volunteers will remove marine debris and waste along windward facing shores. The event will feature the new Education Station, live entertainment, games, and more. 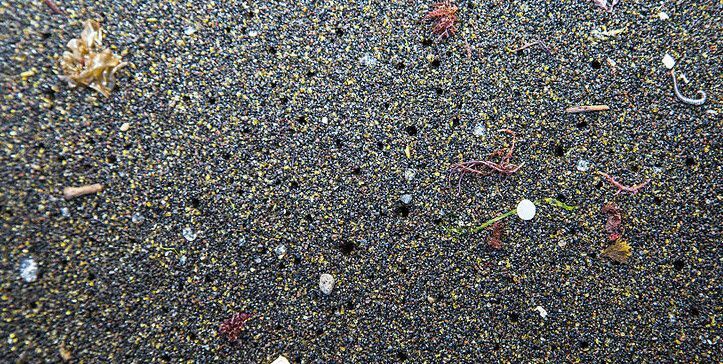 The Ultimate Sand Sifter Competition encourages community members to create innovative solutions for removing micro-plastic marine debris from the sand. To participate, teams within their age division must design their own state-of-the-art sifter and submit to Sustainable Coastlines Hawai’i for selection. Top sifters will be invited to build and give a live demonstration of their sifter in action at the final challenge on April 23. Seven finalists from each division will have a chance to win a cash prize of $1,000. Sustainable Coastlines Hawai’i has hosted 59 fun, hands-on beach cleanups throughout the state in addition to the annual Earth Day Festival. Since its establishment in 2010, over 13,000 volunteers have been recruited to keep Hawai’i’s coastlines plastic-free.